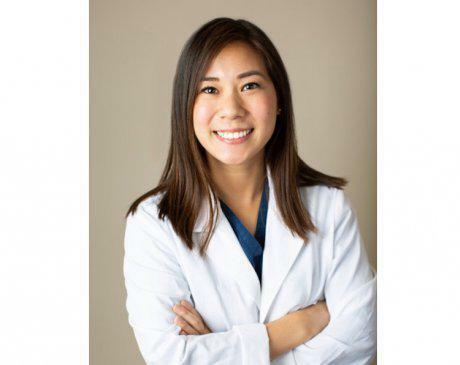 Christine Go is a board-certified physician assistant who has been practicing in the group since February 2015. She originally grew up in Michigan and attended the University of Michigan for her undergraduate degree. Christine balanced her time at U of M playing on the University of Michigan Women's Lacrosse team for all four years while also receiving her Bachelor's of Science degree in Brain, Behavior, and Cognitive Science, graduating with University Honors. Christine then moved to Chicago, where she attended Northwestern University's Feinberg School of Medicine and received her Master of Science degree in Physician Assistant Studies. Originally working at Loyola University Medical Center, Christine was very fortunate to gain additional training in complex and difficult dermatology cases. During her time there, she was an important part of the Solid Organ Transplant Clinic, Rheumatology-Dermatology Clinic, and also served as a sub-investigator for clinical trials. Currently, she is an active member of the Dermatology PA community, serving as the Co-President on the Illinois Society of Dermatology Physician Assistants. In her spare time, she volunteers at local events promoting skin cancer awareness and research for psoriasis. Christine is published in the Case Reports of Dermatology. She is also a member of the American Academy of Physician Assistants, Illinois Association of Physician Assistants and Society of Dermatology Physician Assistants. Christine's clinical interests include acne, eczema, psoriasis, warts and skin cancer screenings. She enjoys taking the time to educate her patients on their dermatologic conditions and making sure all of their concerns are addressed.